Anyone who loves fairy tales would be one of the die-hard fans of the Beauty and Beast superstar, Kristin Kreuk. Although the Canadian actress had begun acting since 2000, it was the romantic fantasy that became her big hit. With that, her fame in the entertainment industry skyrocketed, getting her so many other roles including the drama series, Smallville, which was another hit for her. Doing what she knows how to do best, she has gathered a few recognitions including the People’s Choice award and a handful of nominations for other prestigious accolades. She also runs a production company. Kristin Laura Kreuk was born on December 30, 1982, in Vancouver, British Columbia, Canada. Both of her parents are from different ethnic groups, making Kristin a Canadian of mixed heritage. You wouldn’t search hard to find that the actress is of Dutch descent from her father’s side and Chinese from her mom’s. From what we’ve learned, Kristin’s maternal grandmom was a Chinese-Jamaica and her mom was born in Indonesia. Her interest in arts was gotten from her parents who made perfect sketches as architects. She was raised with her younger sister, Justine Kreuk in Columbia. After graduating from Eric Hamber High School, the actress intended to study forensic science or psychology at Simon Fraser University but her dreams were altered after she was invited by the casting director of CBC television series. Prior to that, the actress was involved in karate and gymnastics, this was during her days at high school. Reports have it that she wanted to tread the path of a gymnastic but was hindered by a medical condition – scoliosis. 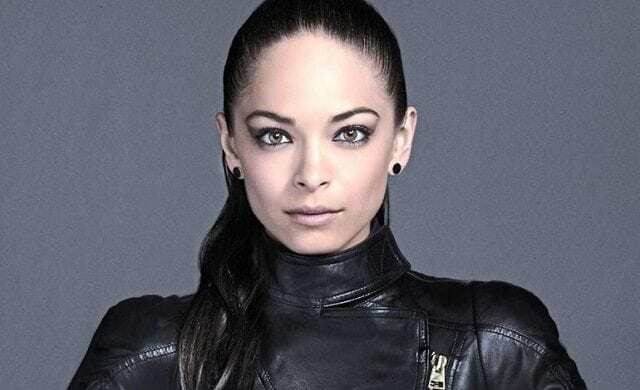 Kristin Kreuk’s interest in theatre arts was nurtured when she was a teenager, it is said that she had such passion that left her very active in a drama team while she was in high school. Upon graduation, she started auditioning for different roles in various television shows. She was among the many who auditioned for the teen drama series, Edgemont on CBC Television, leading to her major role in the tv series. As a result of her remarkable performance on set, she landed a role in the WB television series, Smallville which further announced her acting prowess to the world at large. Moreso, she got other movie roles, such as her intelligent witty display in the movie, Snow White: the Fairest of them all (2001), Irvine Welsh’s Ecstasy (2001), Street Fighter: The Legend of Chun-Li (2009), Vampire (2011), Space Milkshake (2012), Ben Hur (2016), Beauty and the Beast (2017), to mention a few. Having attained such a successful height in her career, she became a person of interest for various brands and was also employed as a spokesperson by Neutrogena. She has served the company as the longest-serving spokesman ever recruited. The intelligent stunning actress has not limited her talents to the screens, she has pushed a bit further and now owns a production company known as Parvati Creative Inc alongside Rosena Bhura. Kristin Kreuk ventured into the acting world after losing her dreams of being a gymnast to scoliosis. It wasn’t easy but she has managed to establish herself as a fine actress, taking part in many movies and drama series which have hugely contributed to her estimated net worth of $6 million. Peter Kreuk and Deanna Che are sure proud of their oldest daughter. She has not only done well for herself but has brought fame upon the family’s name. Kristin Kreuk was born into an art-loving family. Her parents made ends meet as landscape architects and as stated earlier, her father is of Dutch descent while her mom is of Chinese heritage. See Also: Wanda Sykes Biography, Wife, Kids and Family, Net Worth, Is She Gay? 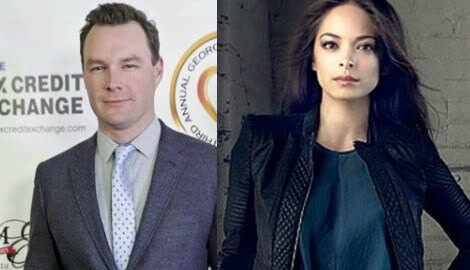 Husband, Is Kristin Kreuk Married? Kristin Kreuk has not taken the forever vows with anyone but is said to have been in a long-term relationship with the musician, Mark Hildreth. The two are said to have met in 2004. Along the line, it was rumored that the two called off their relationship as a result of an imbalance in their time management. The two never confirmed or dismissed the rumors until 2010 when they were spotted together again. Kristin and Mark still share a very large part of their hearts together. They have no kids of their own yet and haven’t announced any plans of settling down as man and wife.